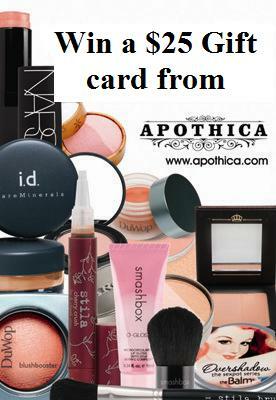 I Love You More Than Carrots: Apothica Giveaway - Must Have Make-Up & Winner! Remember on Friday how I raved about beauty maven Apothica? Who am I kidding. Of course you must remember. You're back to enter this amazing giveaway for a $25 Apothica gift card, after all! - Entries will be accepted until Friday, March 11th. - A winner will be chosen at random that evening, submitted to the awesome folks at Apothica and announced via the blog and Twitter on Monday, March 14th. 1. You MUST be a follower of I Love You More Than Carrots. Easy peasy. You must also do ONE of the following. Extra entries to the overachievers out there that go above and beyond. Are you still with me? That's a total of 5 entries. 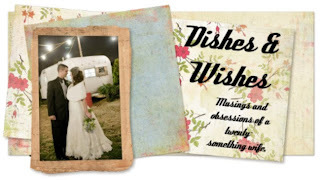 PLEASE leave a separate comment regarding EACH entry that you've submitted (Blog, Facebook, Twitter). MAKE SURE YOU INCLUDE A VALID EMAIL ADDRESS so that if you're the lucky Loyal, I can contact you and forward your information to my friends at Apothica. Good Luck, Loyals! And thank you, Apothica, for the awesome swag! Updated - Mondays are always better when you win things, right? Thanks to everyone who entered. If you didn't win, I promise there will be plenty of other opportunities to score great products from ILYMTC's fabulous sponsor! The winner of this giveaway is one of my newest followers, Erin! Congratulations, lady! I've already forwarded your information along to the fine folks at Apothica and you should be hearing from them shortly! Don't forget to come back here and let me know how you spent your $25! I am a stalker.. er.. i mean.. follower! I "LOVE" ILYMTC on FB. Wrote on Apothica's FB page & liked ILYMTC! Liker of ILYMTC on FB? Check. Post on Apothica's FB and mentioned you? Check. & I "like" you on FB! I 'liked' and wrote on Apothica's FB. I FB 'like' you now! yay! I wrote on Apothicas facebook and mentioned you sent me! I left a comment on Apothicas facebook and mentioned you sent me!